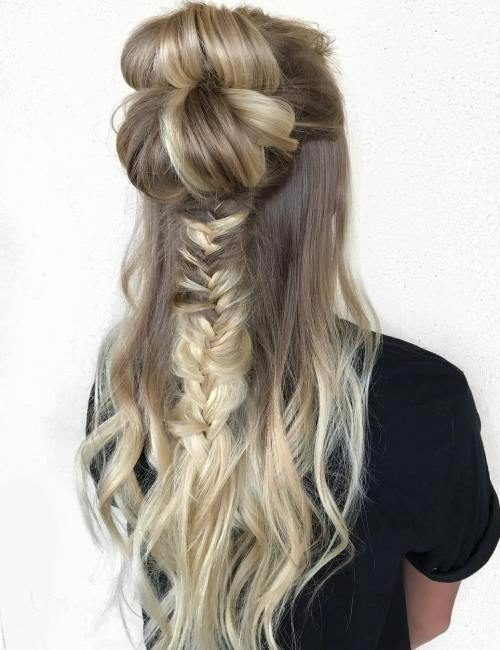 Luckily, half updos work on short hair too. 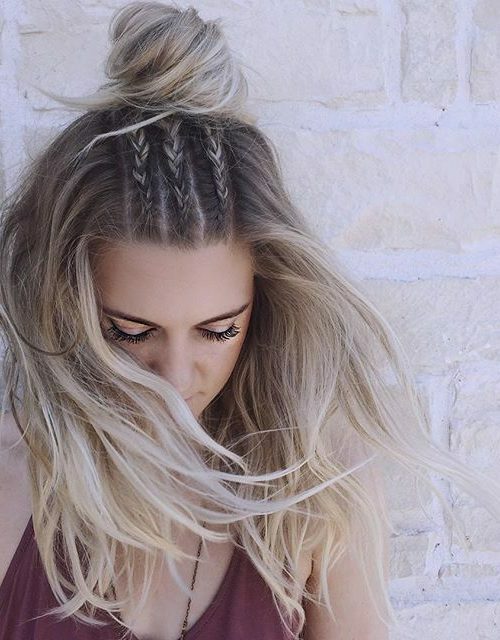 You can still add twists and braids to make your half up half down style pop up. The following headdress is the best proof. 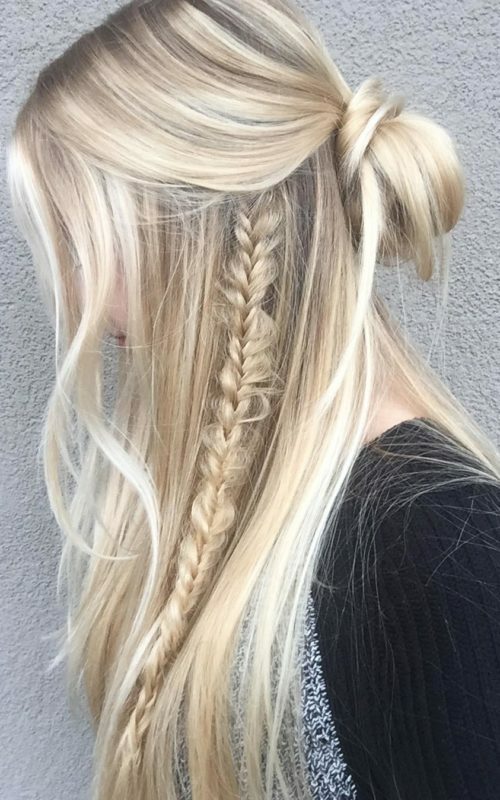 It requires braiding the front and pulling it back in a half up half down design. 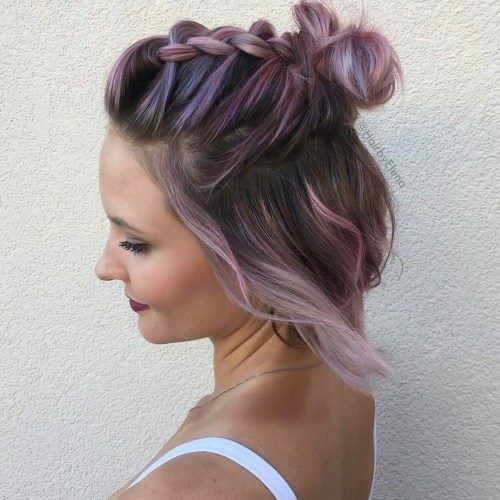 With bolder color your half updo will look more edgy and trendy. 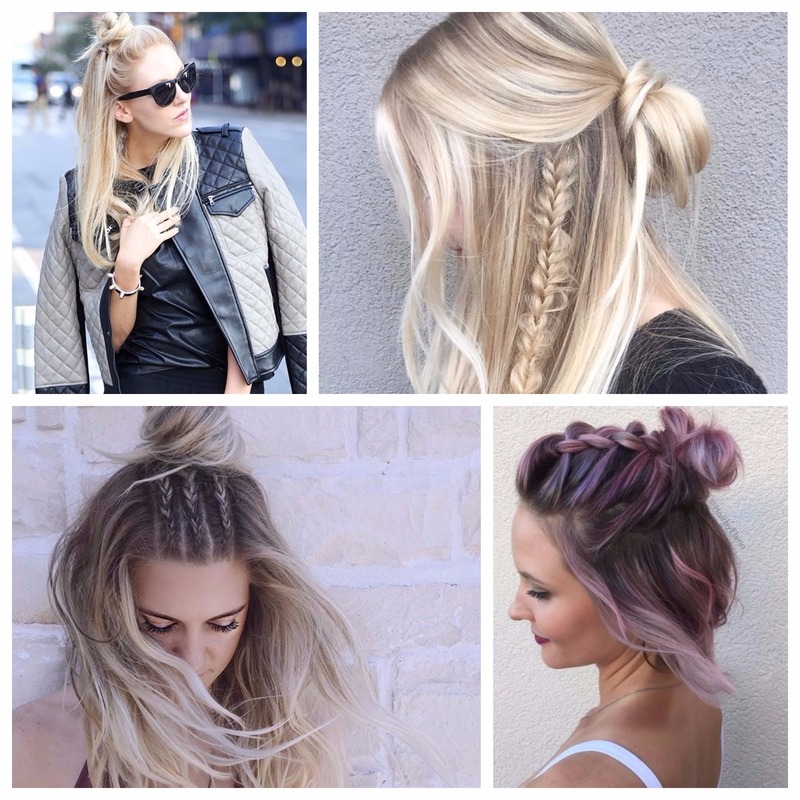 Go ahead with the style and make a bold statement.